I first saw electric unicycles in Naples while on holiday last year – and straightaway I knew I had to have a go on one. So, back home (Truro, Cornwall), and reading that they are not recommended for people older than 60, I immediately bought a V5. Although far from ‘one with the machine’, I have reached the stage where I can ride it and even wobble round in quite small circles. And having discovered his forum, I thought it might help some oldies (who failed to ever grow up!) get to grips with this wonderful contraption. I had a bad start! Training started indoors – our dining room is 6 metres long and uncarpeted – and almost on the first day, the unicycle slipped from my feet, madly spun in a tight circle and crashed into my leg, just below the knee. Undaunted, over the next couple of weeks, I spent 15 minute sessions each day in the dining room, managing to ride short distances between rows of chairs for support. My knee now sported a huge black bump from the first encounter with the machine, but otherwise I seemed to have survived – although the dining room had fared less well with a few dents in the floor and paint chips on the walls! Despite the fact that all I had achieved was the occasional wobble of a few feet, my confidence was high and I felt sure I could make more progress outside where there was more space. So I set up a step-ladder in the drive to help me mount the unicycle and attempt a traverse of the tarmac – some 10 metres. Holding my breath and letting go my frantic grip of the stepladder, I set off, immediately falling to one side, and the unicycle hurtling round to smack my knee yet again with a hammer-like thud. Training was suspended after this – with two huge angry bumps on my right knee and a hematoma caused by all the bruising, it was two weeks before I could stand up again. But the enforced rest gave me time to plan for a fresh attempt, which involved buying a pair of large wellies and some kick-boxing shin protectors. These latter I stuffed into the wellies with their ends poking out to cover my knees, giving me the appearance of a samurai warrior. I started again, still in the dining room and managed finally to ride the full length of the dining room without falling off. But then it began to stagnate, so I progressed to our terrace where I set up two ladders, strapped to a workbench and two chairs, making a 15 metre handrail. Within a week, I could ride this distance without holding on and was beginning to get a better feel for the subtle means of controlling the unicycle. The next step was to do away with the support and tackle the drive, some 50 metres long, and to learn how to get onto the unicycle without holding on to anything. Things have progressed quite quickly since then, and I can now ride the length of the drive almost every time, and occasionally manage to turn at each end and continue back down the drive. Unfortunately the whole drive is on a slope and broken in places by long tree roots, which makes it difficult to judge the controlling the 180 degree turns. But every day I get a little better. Now I need to find somewhere larger to practice and Cornwall, being famous for its steep hills everywhere, is proving to be a challenging environment. The closest I have is the car park outside the Truro Magistrates Court. Given that unicycles are not permitted on the roads in the UK, it is rather ironic, I think, to be indulging in an illegal activity so close to the arm of the law. 1 Get the leg protection you need. If you take medication to thin the blood, watch out for bruising at the beginning when you tend to grip the unicycle more than you need to. 2 Make sure you can control the unicycle well with either foot before trying to ride without holding on. The problem with the unicycle returning like an Exocet missile to hit my leg was caused by my trying to jump off it when it toppled to the right while the left foot was not on the pedal. So as I jumped off there was no control at all. I overcame this by making sure whichever side I came off, the other foot could halt the machine. 3 Learning to look ahead instead of at my feet made a great improvement in staying on the unicycle. 4 The next point was trying to make a standing start. You have to lean forward as you get your second foot on and, on my sloping drive, that sometimes means leaning forward a lot – so that you actually feel you’re going to fall over. But, of course, the unicycle accelerates under you to ‘catch up’, so you don’t fall over. The other issue is how quickly the placing of the second foot has to happen (I haven’t managed to master gliding with one foot and giving the second more time to settle – maybe I don’t have the strength in the leg to achieve this). Lots of times, I didn’t get the second foot on properly which made a bad start – and even now, I don’t always manage to get going smoothly. But certainly having the confidence to lean forward has meant that most times I get away. At the very least, wear wrist protectors - you won’t fall as gracefully as a twenty year old and you WILL put your hands out and sprain your wrists, which also won’t heal like a 20 year old either - boy do you find out who your friends are when you cannot use either hand for weeks! Obviously if you start getting a lot faster further protection, especially a helmet become very sensible. The use of a safety strap is much misunderstood and therefore often derided! It should be long enough to hold loosely so you do not try to pull on it to balance (it won’t help at all!). If you come off of the wheel you simply lift the thing off the ground, preventing it whacking into you or charging off and damaging something or someone else - particularly when you are first out in public. Protecting your shins as well is no bad idea - I just used stout walking boots. Cool story. Definitely get wrist guards! And knee guards as well. Maybe also a helmet (certainly if you get a faster wheel). That applies to any age. You will always land on your hands in a fall, and think how delicate and vulnerable these are. You may have hindered yourself by being inside so long. I always say, if in doubt you don't know what to think of a EUC, think of it as a bicycle and treat it accordingly. Would you have tried to learn to ride a bicycle inside, in a 6m long room, going veeeeeeeery slowly which makes it very hard to keep the balance? That would also have helped with the wheel hitting your legs. Ideally, if you lose balance, you just relaxedly run off and get away from the wheel, care only for yourself and let the wheel just fall over. Experience shows it's always when people try to catch a wheel that the really nasty/unlucky/unnecessary injuries happen. Naturally, you can't just run off inside. But as long as you're having fun I just wanted to mention that for future learners: get outside where you have a ton of space in all directions. Inside is for the first 5 minutes of standing on the new thing and just balancing in place while holding on to something, if at all. Never too late to learn. 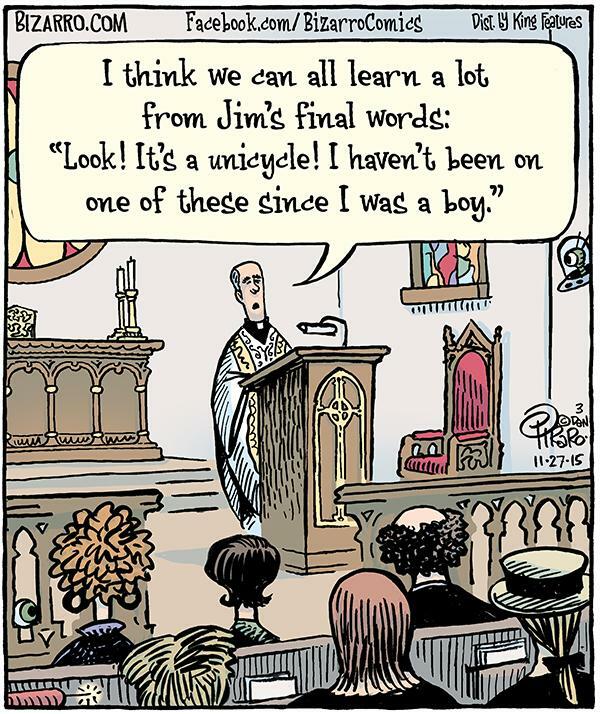 Now go try learning to ride manual unicycle. Geez, it's great to see that I'm not the only Old Geezer that's recently taken up wheeling! Your advice is spot on. I, too started to teach myself how to ride in my living room. Dumb -- right up there with trying to learn how to fly a drone in your kitchen. A rarely used city park was where I really got some decent practice in. It's been a couple of months now and I can carve around pretty decently, with probably 200+ miles behind me now. I've even gotten my 25 year old son into wheeling and it only took him a couple of days to get where I am. The advice on wrist/palm guards and helmets is a must no matter how long you've been riding -- I've even seen some very experienced wheelers do face plants. Hard plastic elbow and knee guards are pretty much a necessity at first, followed by shin/ankle guards. I now tempt fate with padded but still softer elbow/knee/ankle guards. I'm still debating getting a full-face helmet (one that costs less than the wheel itself). I love the freedom of leisurely wheeling down long park trails just like I could with my mountain bike (but without all the sweating) and having ridiculously easy transport in my trunk or use the trolley handle to walk it into Starbucks. I just wish these were around 10 years ago when I worked downtown and had to walk a mile from the train station in Texas summers. regarding the turns: here is a small video I made on somebody's request to demonstrate the technique of slow tight turns. The focus of attention are the knees: note that when I'm entering a turn my inner knee goes back (the leg straightens), while the outer knee goes forward and into the turn (the leg bends) - this movement effectively leans the wheel without leaning your body. The body stays upright above the wheel. The legwork in this clip is intentionally exaggerated to demonstrate the technique. When you start turning - accelerate! The turn is much more stable when you do it with a little acceleration, rather then with a constant or decreasing speed. You also may help yourself into a turn with your shoulders (the upper body is locked, i.e. when you turn shoulders - the entire body gets to follow). Of course, practicing in the dining room was only partly to be able to have rows of chairs to provide two ‘handrails’ – the other part was my desire not to damage this lovely new toy on the tarmac outside… When I took the pristine machine outside, despite buying a cover for it and trying to pad any exposed areas, it pretty soon gathered a somewhat well-worn look about it! The cartoon was great – at least I don’t think that will be my epitaph, but who knows what new machines will become available in years to come. This is great! Yes, there's a bit of a learning curve but there's nothing like an electric unicycle when it comes to helping you regain the mobility of a 5 year old on a sugar high! the other thing you should try, is twisting the wheel with your feet as you go. Almost as if you are trying to turn but not, I find it helpful in locating the balance point of the wheel especially at lower speed. I also agree with the others that trying to learn in a confined space at low speed is actually harder, since you "catch" yourself by heading in the direction you are falling, and in a narrow corridor or next to a wall you can't really do this. Is this where the old guys hang out? I too was well past 60 when I stepped on my first unicycle, a Ninebot 1E+. I remember the first couple of days thinking I had made a terrible mistake. It's a good thing that particular wheel was so durable because I dumped it on the pavement time after time when I first took it outdoors. The thing I remember least fondly about that period was how badly my shins were bruised. I had the wheel clamped in a death grip so every wobble banged into the side of my shins. The cumulative effect was a pair of legs that looked like they lost a bar fight! Strapping on a pair of soccer shin guards helped, but what really helped was when I gained the confidence to quit squeezing the wheel to death. Here I am after a few weeks, still unsteady, but good enough to ride around the backyard without falling over every few yards. Thanks, Trya, for the video – it’s very helpful showing the turning technique. Your unicycle seems smaller and lower than my Inmotion V5 and I wonder whether I will ever look as comfortable riding it as you do! Of course you will! This even won't take much time as long as you keep riding.The EUC on my video is Gotway MCM2s, it is 14" as V5. My current most used wheel is also V5F+ Nice choice of boots, by the way, for the learning period! @freebiker, so cool you took up this hobby that soon becomes a necessity boarding in addiction! You are definitely not alone! I really do think your posts will help anyone at any age take the plunge. My dad couldnt help himself when I got into this and he is 68. He was just too stubborn to take any advise so I watched him tuck n roll for almost a total of 2 hrs on a grass field until it clicked for him. He has about 150 miles under his belt now and we go all over the place from riding to the beach to going on trails we used to mountain bike on. He still has a little trouble if when wer off road and the hills are granny gear steep but that is getting better too. Taking trips in the motorhome is so much more fun for him now because he can take off an explore. It's too bad my mom wont/cant learn to do this so they both could take adventures together. She cant ride a bycycle so this would be very hard and she also wont roll all gracefully if she comes off of it. My dad is not a very safe person and wont wear any protection....I still got him to wear wrist guards and they have some good knocks on them. Please, at the very least wear wrist guards! @freebiker Great! Glad that it helped. Here is a suggested plan of continuing learning for you: while you are mastering stable straight runs and turns, start working on one-leg riding - you should be able to make controlled rides on one leg (both left and right). It is not as difficult as you may think, and this skill will add a lot to your self-control, it is especially useful for smooth start and stop, adjusting foot position during the ride, fighting the fatigue or pain, controlling the wobble. The focus of attention are the knees: note that when I'm entering a turn my inner knee goes back (the leg straightens), while the outer knee goes forward and into the turn (the leg bends) - this movement effectively leans the wheel without leaning your body. The body stays upright above the wheel. The legwork in this clip is intentionally exaggerated to demonstrate the technique. This is a dangerous way of turning because footpads can get caught on the ground as the wheel is leaned over quite far. It's very hard to recover from a caught footpad. May I suggest instead to put most of your weight on the outside footpad while lifting the heel entirely off the inside footpad. This will allow the wheel to stay almost straight up and down while allowing you to spin in place almost like a hoverboard. This is how I turn at speed but I have been turning the other way at low speed, never thought to even try it at low speed. At my current riding level the only way I spin in place is by cheating. I hang my inside toe off and lightly drag my shoe causing me to spin in place. Congrats on your progress so far. It is an addictive hobby. I know how I felt learning an an Airwheel 4 yrs ago. 2nd wheel was a ninebot one and that really opened the door and I did over 4000 miles on it. I now have 4 wheels and often use the train to travel to cornwall (I live in Plymouth) for somewhere new to ride and yes I have wheeled around Truro a few times including The Lemon Quay multistorey car park, The cycle track by Tesco and yes even Truro skate park. There are a number of cycle trails not too far from you for you to play on when you master it. I find a long straightish route is really good to learn on as your body has to make constant adjustments to stay upright. This helps with turns later on. I know I could barely turn when I started hitting the trails. I certainly couldnt do a tight turn in the trail. It was stop, swivel around and then grap a post to remount. If you need any help with your learning or want to discuss the finer points, I am more than happy to pop on a train to visit you. (I am retired so am available most days). I also meet up with some other wheelers from Torquay and Exeter and we plan and go on longer rides and have done most of Devons cycle trails and some of the cornwall ones. I'm not developing any more in the current practice areas. I can stay up well enough, but need my full attention, and when it lapses I come to an unintended halt. Try placing your feet a little further forward. If your "non-attention" body stance brings you to a halt, there is too much rear bias of your weight. I did see the beach riding video but I personally would not take my wheel on a beach as salt water and sand I fear could get onto the shaft or inside the electric motor. There is only one moving part after all and sand has never been a very good lubricator and salt water is never good to circuit boards. Sand is in my opinion is also not an ideal surface to learn to ride on as it would feel very soft and spongey and be less reactive than a solid floor. Have you considered the Tregurra park and ride? Let me know if you want me to pop down. I also prefer left turns. I'd love very to see a poll about preferred turn direction because right turns are still more difficult thanks lefts. I'm left handed (is there a correlation there?). This is a great thread. Thank you. I started riding a couple of weeks ago at age 53 and thought more than once that I might be too "experienced" for this sport. I'm glad I didn't because I'm having a blast. Right handed people have trouble learning to turn right, and left handed people have trouble turning left, mostly. There's always an exception or two.